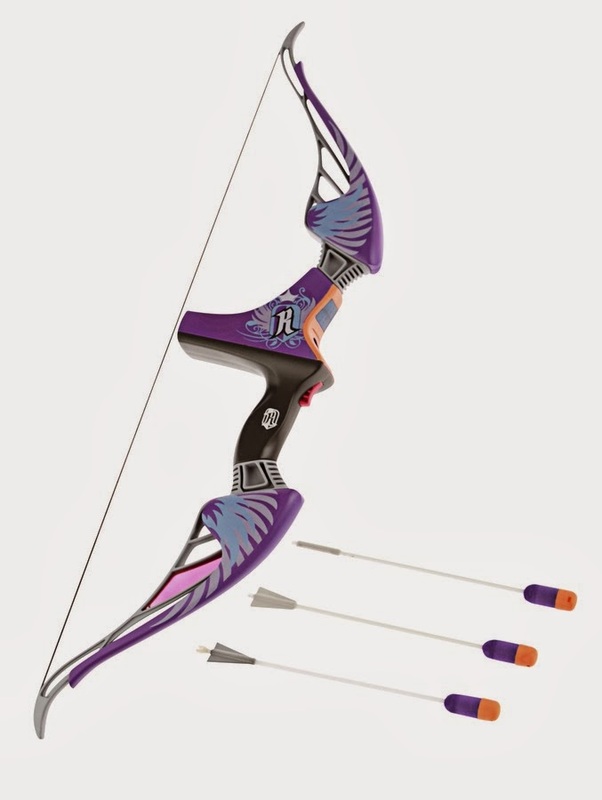 The Elite Demolisher 2-1, Zombie Strike Slingfire, Mega Thunderbow, and Rebelle Agent Bow all get official prices and targeted release month for Australia. 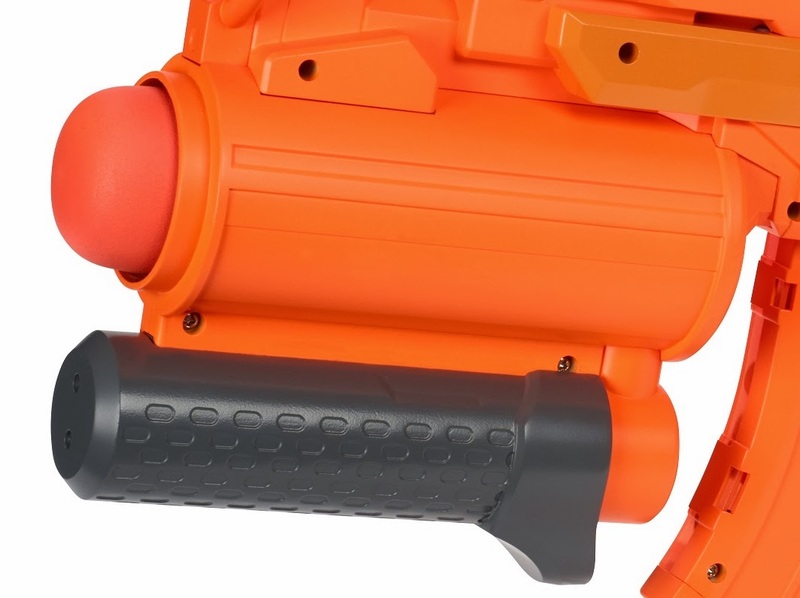 I know a good amount of my readers and Nerf fans in general are there, so I figured I would share the information with you. Info thanks to Prop Weapon Scoop. UK Nerf recently visited the Nerf section of the UK Toy Fair, and managed to share his findings on the upcoming Fall 2013 blasters. I recommend you check out his entire post to catch all the points, but I’ve highlighted the some things from it below. 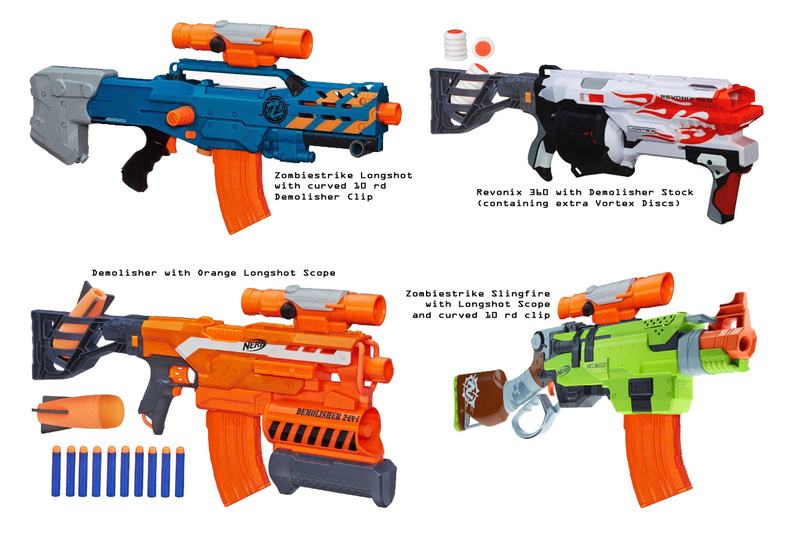 PLEASE KEEP IN MIND THAT ALL THESE BLASTERS ARE PROTOTYPES, AND MAY CHANGE IN THE FUTURE. 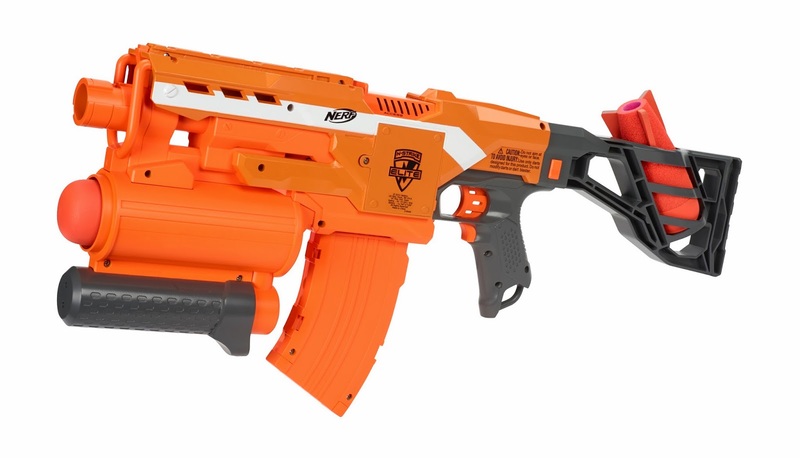 – About the same size as a Rapidstrike, but a little more chunky and front heavier due to the missile launcher attachment. – Prototype was designed to be semi-auto, but the plan is to make it full automatic after the success of the Rapidstrike. This would probably require an upgrade over the AA batteries it takes to something like C batteries like the Rapidstrike. – 100 Feet (85 in the UK) is confirmed. This also might be the new range standard for the Elite line. – Missile Launcher is not de-tachable, at least not without a lot of work/modding. 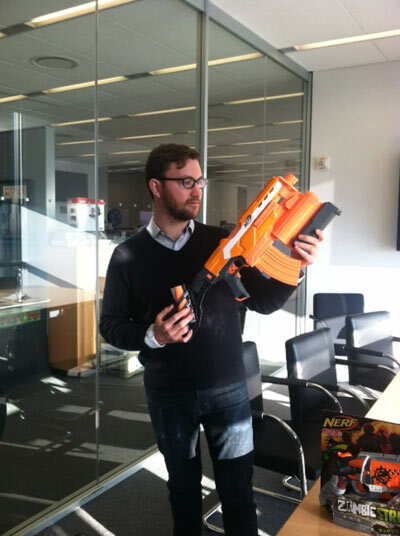 – UK Nerf says missile packs a punch, and could easily see it getting 50 feet or more. – Stock is pretty much modified version of the Supersoaker Lightning Storm. – Missle is held a bit loosely in the stock. – Holder gets a bit in the way when looking down sights. – The Bananna clip holds 10 Elite Darts. But the curved section is dead space. – About same size and weight as the Zombiestrike Sledgefire. – Was designed to be used one handed, so it CAN be flicked to prime with. – UK Nerf says lever was robust, but he can see it failing at some point. – Barrel is stubby, “but it can be fixed”. – Not as big as he thought it was. – Maybe 3 feet long and surprisingly light. 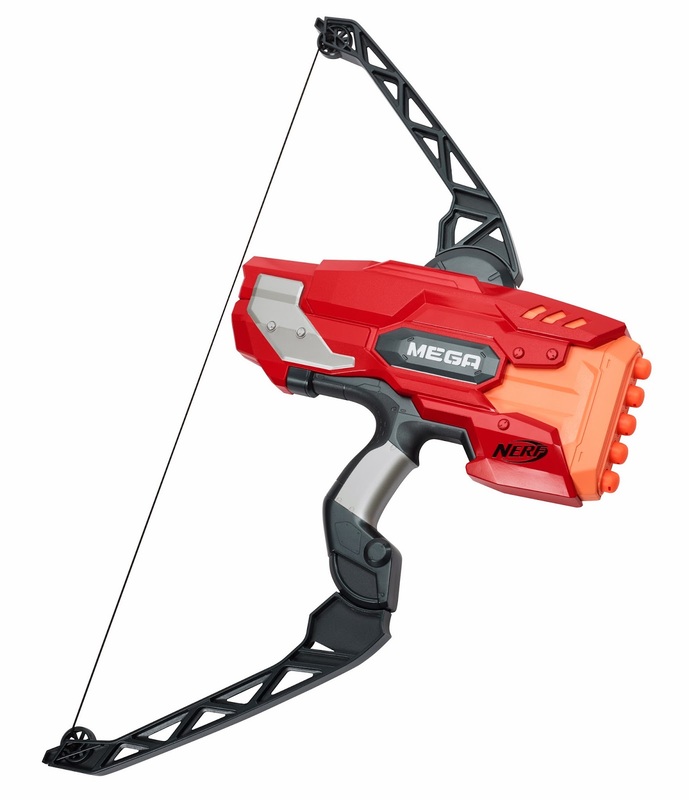 – The bow features an inbuilt reflex red sight. I’m just going to quote the paragraph UK Nerf typed up for the “secret blaster”. 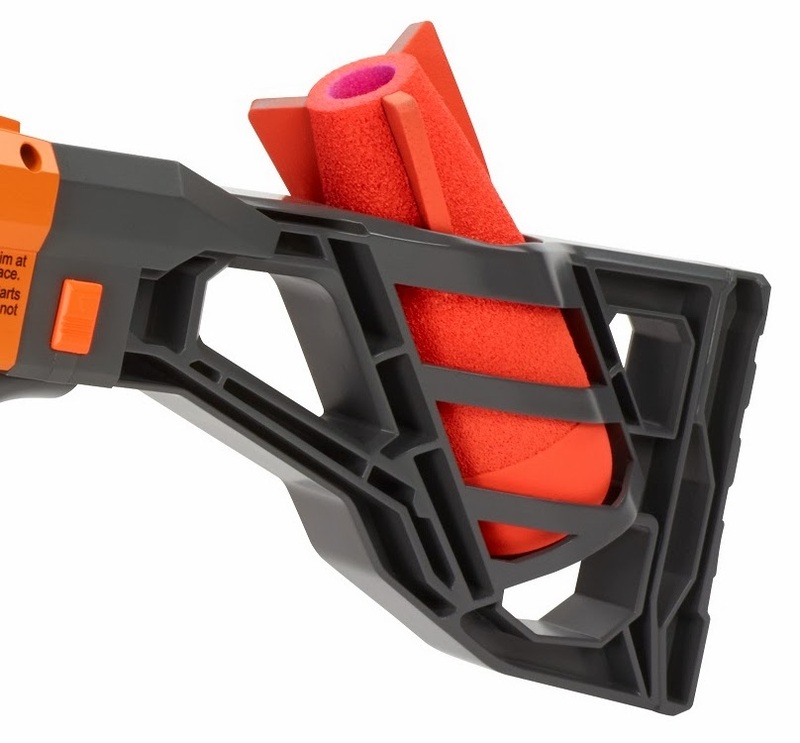 Photos and news thanks to UK Nerf. First off, apologies on the first post I made on this. The ORIGINAL SOURCE is Popular Mechanics. 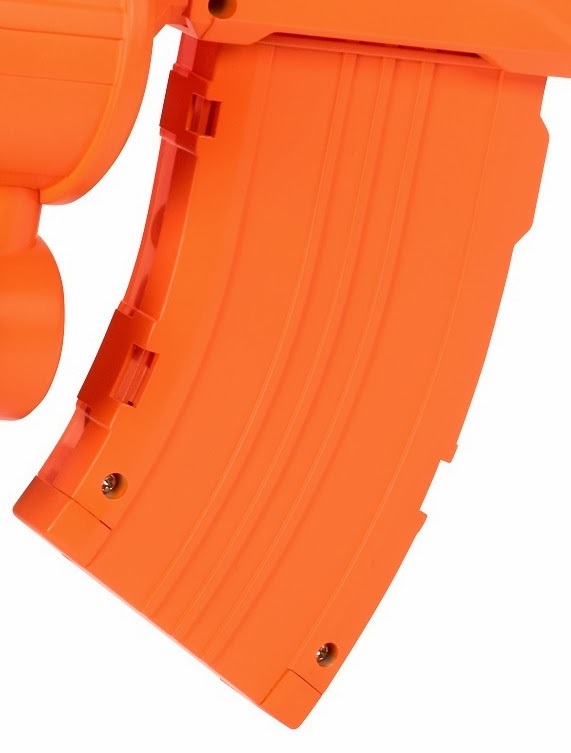 Popular Mechanics also mentions that Nerf will be selling separate accessories. From the source link. And finally, we have the official product description, USA pricing, and targeted release frame for the USA below.